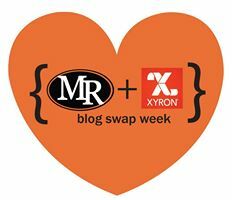 Xyron has teamed up with Maya Road (one of my favorite companies) for a wonderful blog hop this week. Maya Road shared so many fantastic products with us for the hop that it was a pleasure to create this project. I live in Michigan and I’m in that crowd of others who rush outdoors to take a ton of photos when we receive our very first snowfall of the season. It’s true – we rush outdoors to take all those photos because it’s so beautiful and three months later we’re wishing it would all just quit and go away! I always say I’m going to scrap those photos or share the beauty with a relative who doesn’t live in Michigan, but they usually just end up sitting in my computer with the thousands of other photos that never get printed. This year will be different. 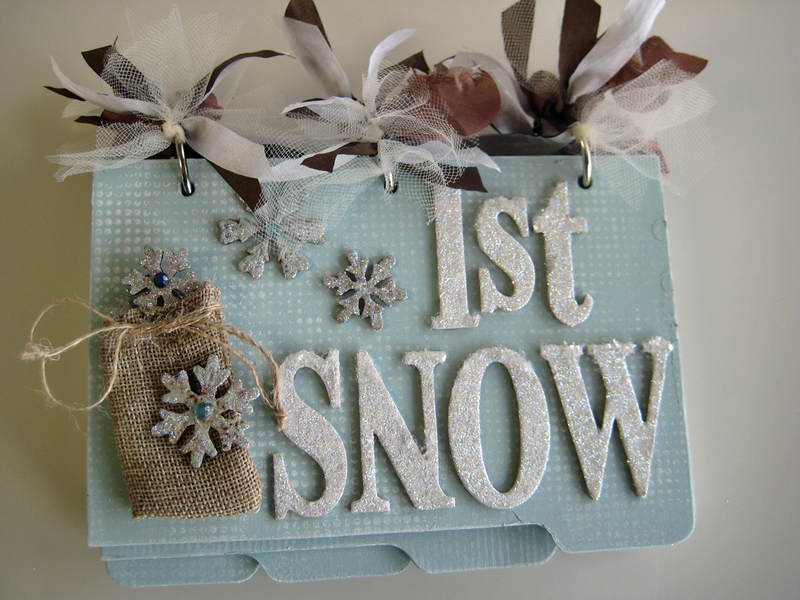 I made this ‘1st Snow’ mini album to hold all those photos. 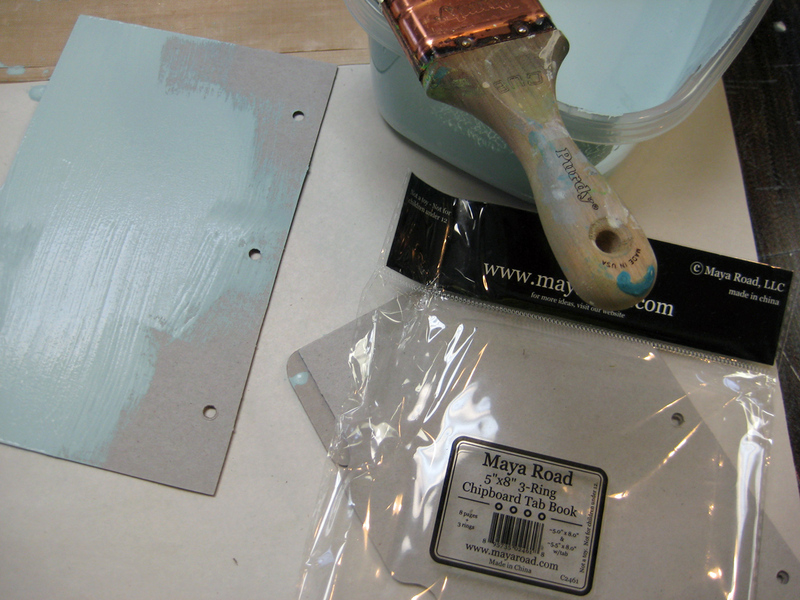 I started with the Maya Road 5X8 3-ring Chipboard Tab Book and painted the pages with some homemade chalk paint I had left over. 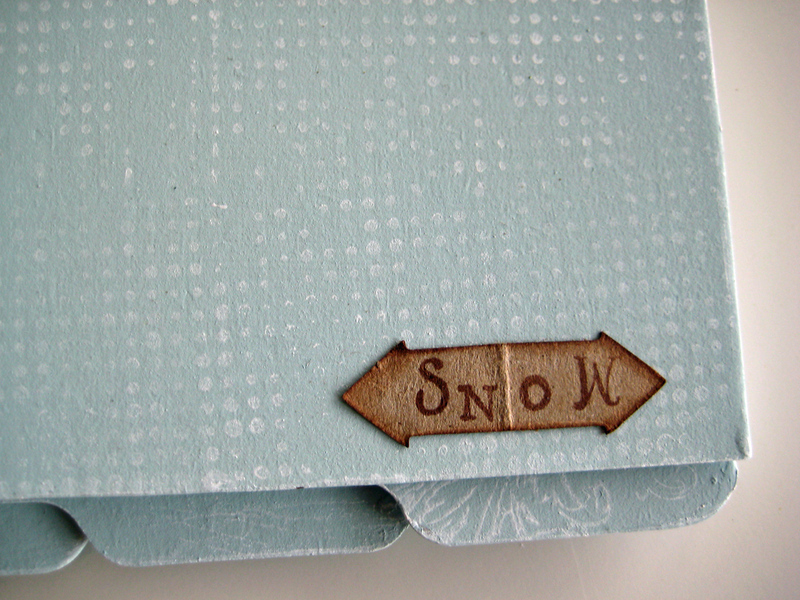 Quite a few of the Snowflakes Mini Chipboard Set were painted in the same color and then embosssed in a Crafter’s Companion 6″X6″ Embossalicious Embossing Folder – Let it Snow. 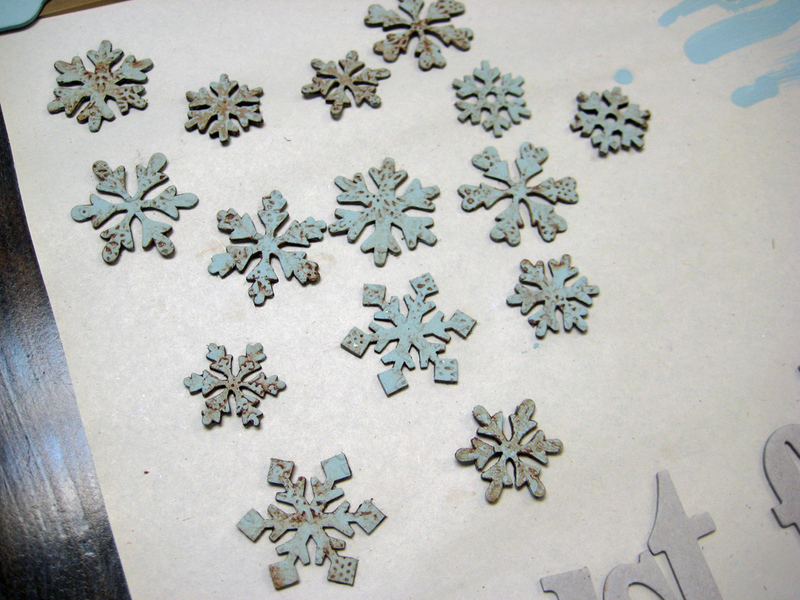 After the snowflakes were embossed they were glazed with some dark brown acrylic paint. I rubbed it in with my fingers and wiped the access off with a baby wipe. This allows the paint to settle into the textured areas. 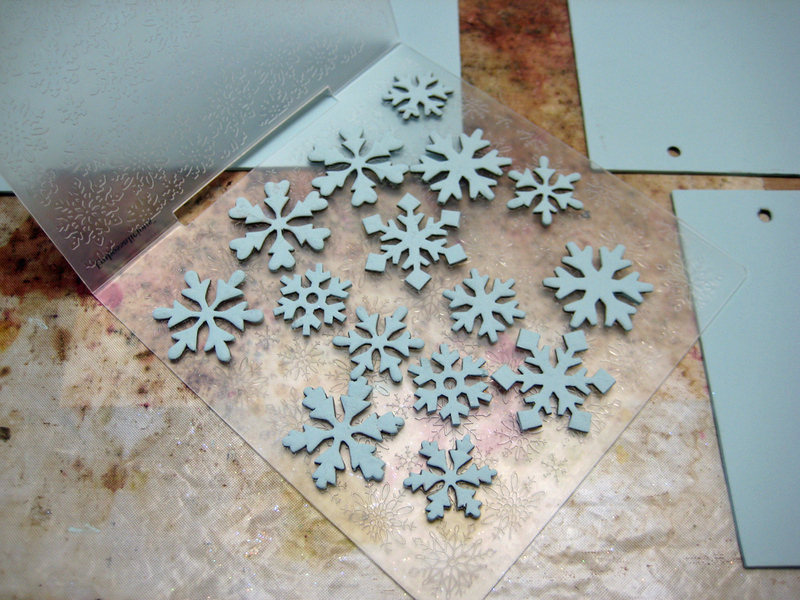 The next step is to run the snowflakes through the Xyron 1.5″ Create-a-Sticker facedown. 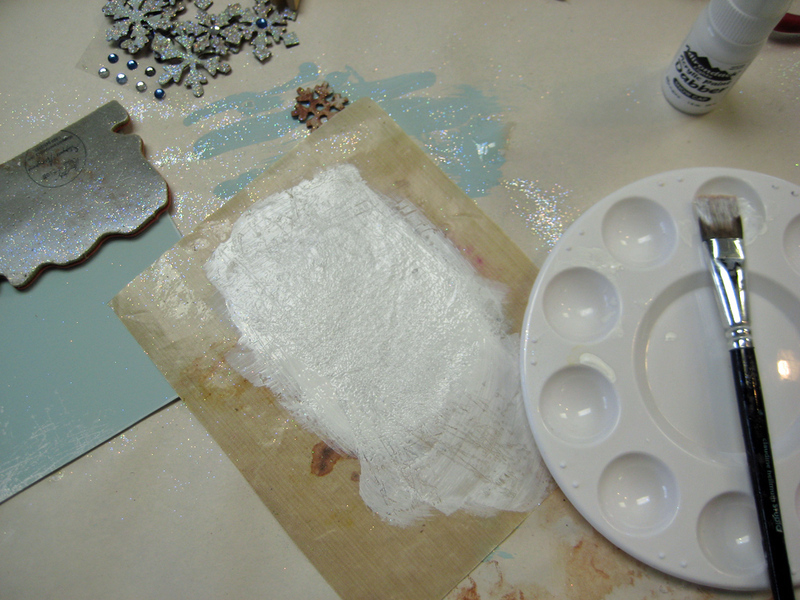 This puts the adhesive on the top surface so they can be sprinkled with Art glitter Ultrafine Crystal Glitter. 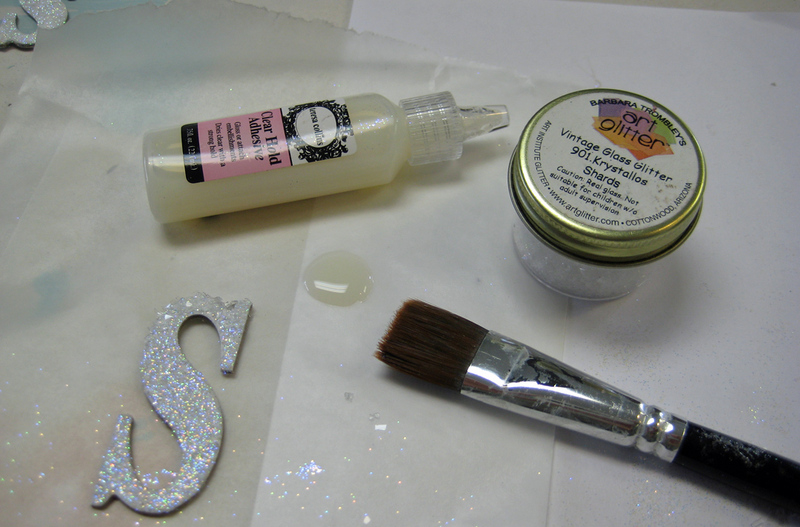 I love this technique for applying glitter because it gives a nice smooth finish for the glitter to land on rather than a raised trail of glue. 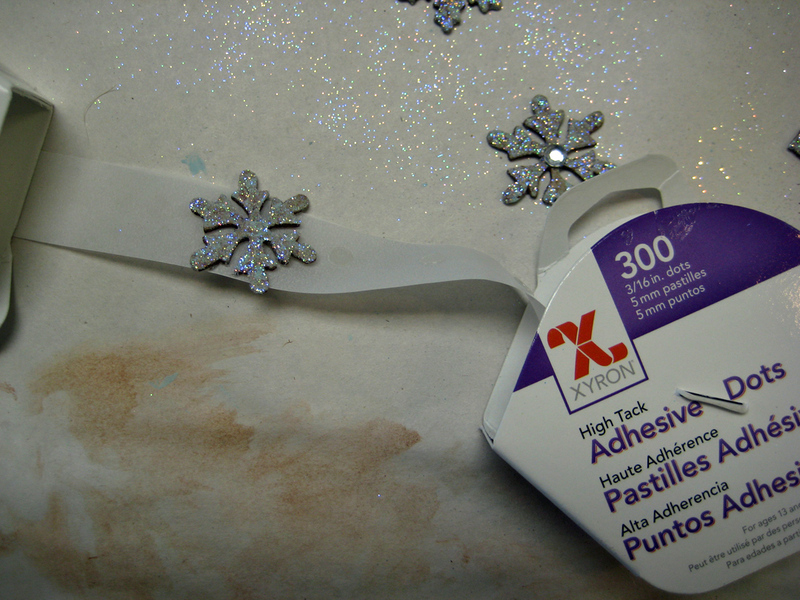 The Xyron Clear Hold glue from the Teresa Collins Adhesive Kit is perfect to hold gems in the center of each snowflake. 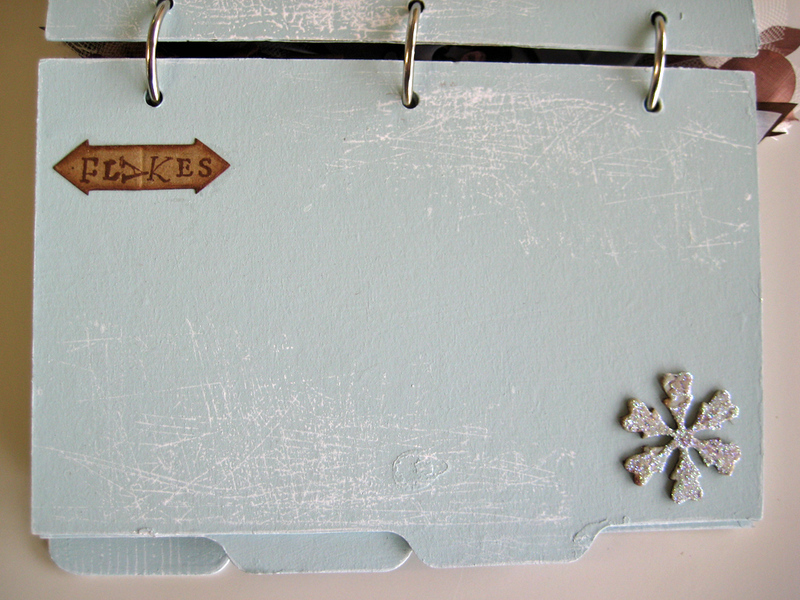 A few of the snowflakes were used to decorate the adorable Maya Road Vintage Linen Burlap Bag used on the front cover. 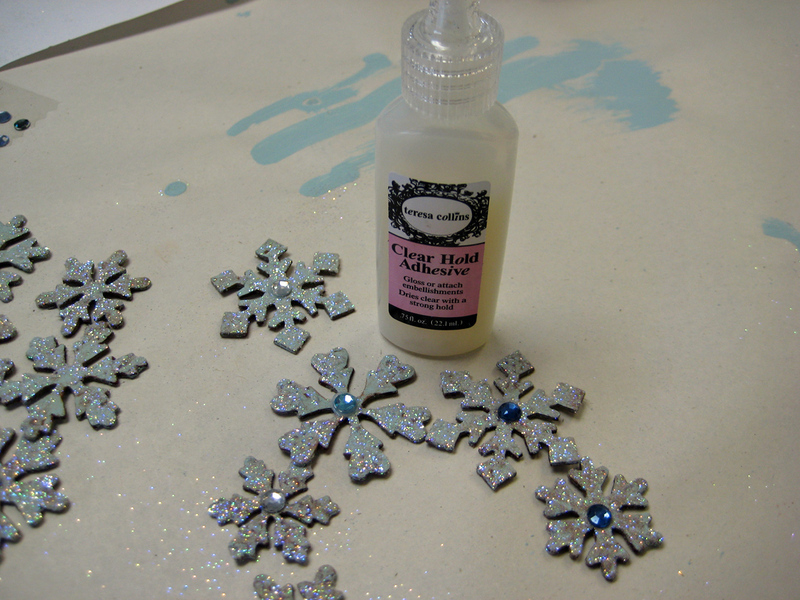 Title letters were painted with Adirondack Snowcap Acrylic Paint Dabber and treated as the snowflakes to add a layer of glitter. I then brushed on some Xyron Clear Hold glue to the tops of the title letters to add another layer of chunky glitter, Art Glitter Krystallos Shard Glass, to simulate fallen snow resting on the ledge. 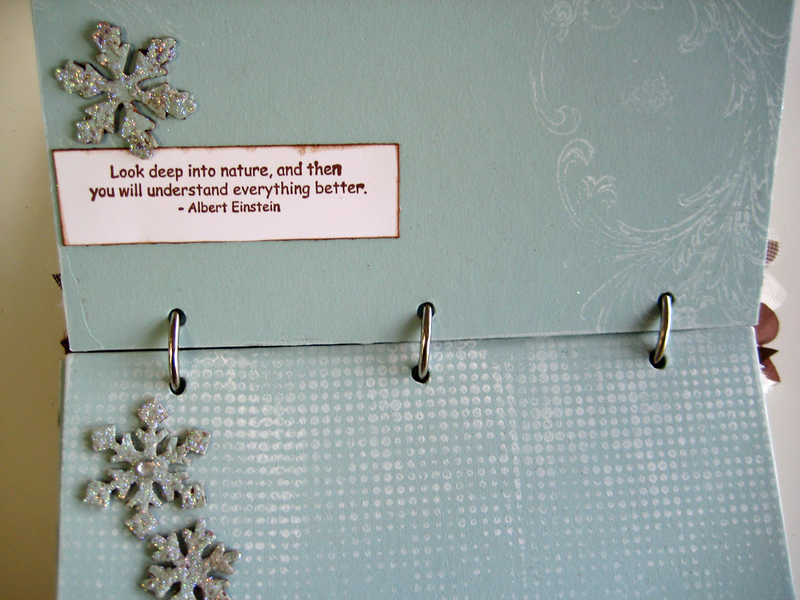 All the backgrounds on the pages are created by stamping with Wendy Vecchi and Tim Holtz stamps and Adirondack Snowcap Acrylic Paint. I brushed the paint onto a non-stick craft sheet and stamped into it to pick up the paint and then stamped onto the page. 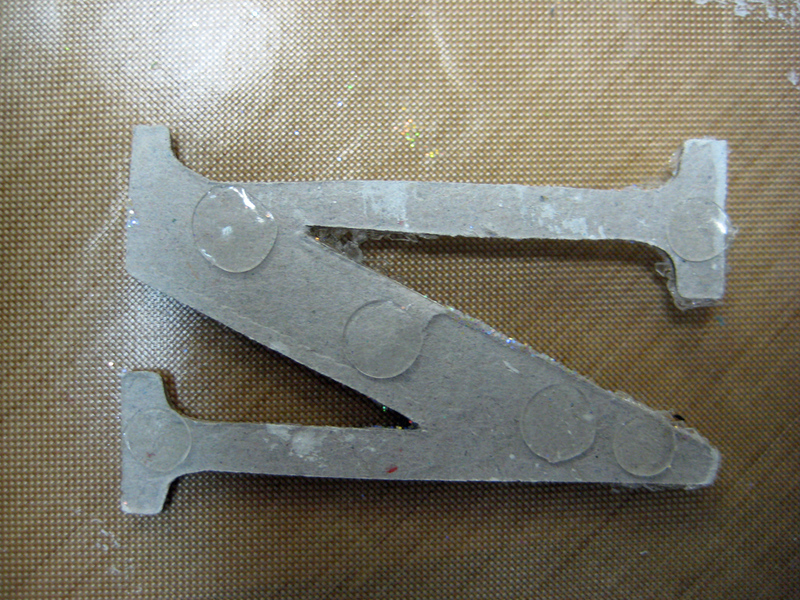 Be sure to wash the stamps immediately before the paint dries. This added a nice soft look to all the pages. 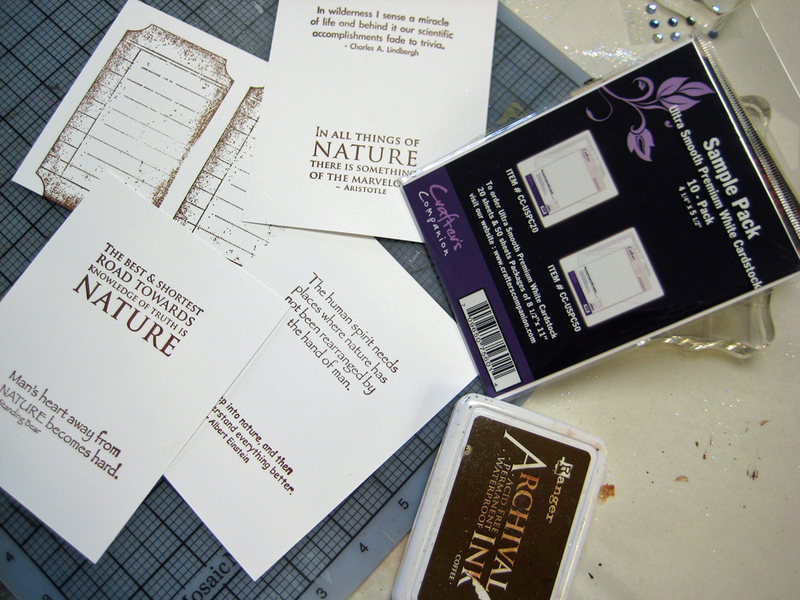 Several sentiments were stamped onto High Gloss Cardstock by Crafter’s Companion. 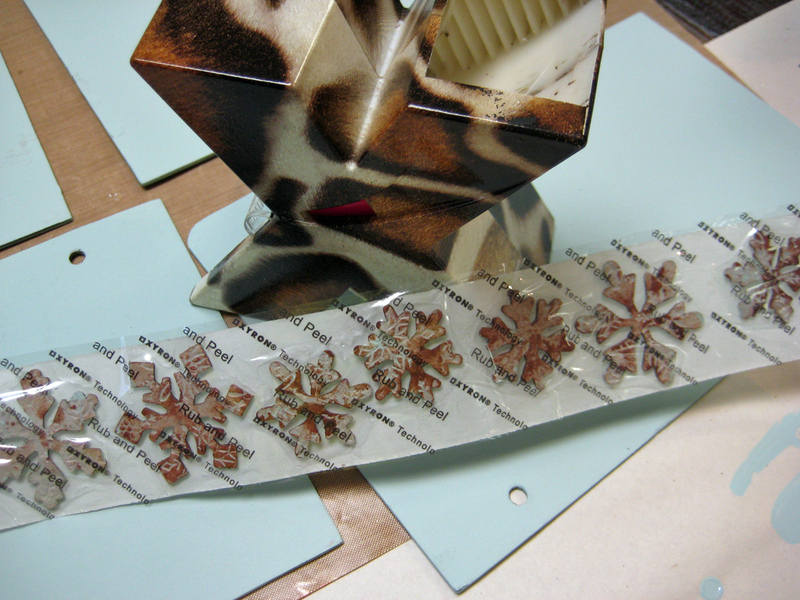 Xyron High Tack Adhesive Dots proved very useful in attaching the chipboard snowflakes and the title. With the two sizes – 3/16″ and 3/8″, it was very easy to place them in narrow and thick areas. The interior pages were dressed with sentiments, snowflakes and few embellies – kept light so the photos become the center of attention. Several sentiments are attached with the Teresa Collins Stapler on the outer edge so photos can be tucked under the loose edge. 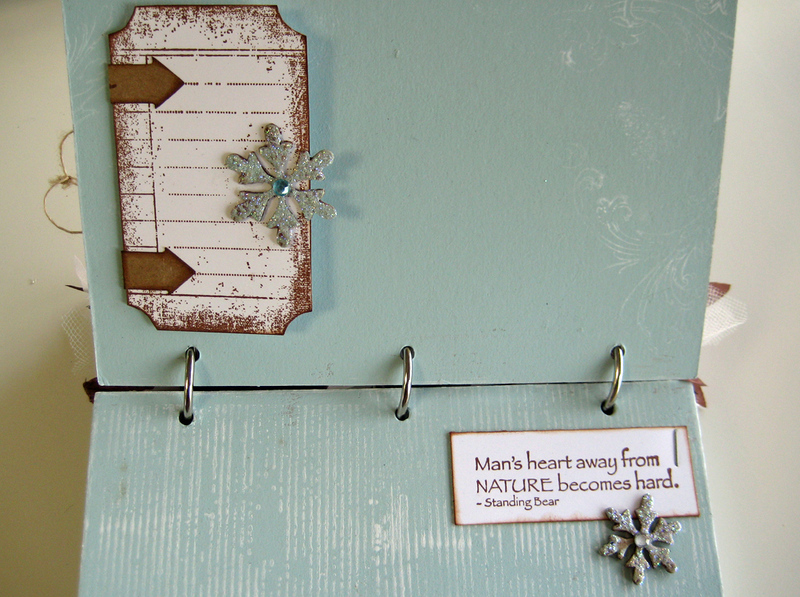 The journal card is hinged with the arrows from the Maya Road Vintage Kraft Star & Arrow Pins collection. Pretty ribbons adorn the rings that hold the book pages together – Alterable Scallop Trim by Maya Road and May Arts Krinkle Ribbons. What a cute mini, love it! Thanks, Mickie. I had a lot of fun creating it. Thanks, Janis. Snow came to Michigan a bit early this year. This is beautiful! I need to remember to use my stamps and paints to make my own backgrounds the next time I want to cover something. Great idea! Thank you, Candy! Using stamps to create a background are just so much fun – give it a try! What a beautiful memoir of winter in Michigan. I love winter!